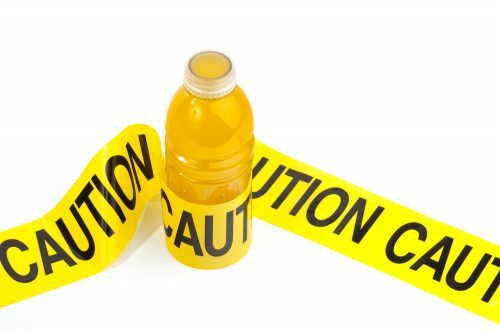 Fizzy drinks are well known to be full of sugar but sports and energy drinks are also hiding a dirty secret…. they are full of sugar too. To give you a comparison, a 600ml can of coca-cola contains 16 teaspoons of sugar, Gatorade contains 9 teaspoons and V Energy drink contains 13 teaspoons. In addition to sugar they often contain a long list of ingredients that are both unpronounceable and confusing. You can see more comparisons at the Rethink Sugar drink website. That is a lot of sugar lurking in a drink that is marketed to be part of participating in exercise and sport. Excessive sugar can lead to a number of health problems including obesity and type 2 diabetes. It can also lead to the tooth decay. Tooth decay is preventable. By making a few life style changes you can reduce your chances of decay in your teeth. This will not only help your oral health but your general health too. Water! Water is perfect to deal with the telltale signs of dehydration such as dryness in your mouth and excessive sweating. It is also freely available from the numerous water stations that are in public places around Canberra. There is no way you would add 9 teaspoons of sugar to any other drink. You would also not eat 9 teaspoons of sugar straight from the bowl. So why let it into your system by stealth. Not sure how your teeth are? Here at Canberra Dental Care we believe prevention is the best cure. However, we know that sometimes things can get out of hand. Our promise to you is we will never ever judge you or make you feel bad for how your teeth are. We are just pleased you have taken the first step and come to see us. There is always something that can be done to improve your oral health. Contact us today to take about you can improve your oral and general health.